Following the financial crisis of 2008, the financial regulations were tightened and financial markets have been expected to adhere to new regulations that promoted financial transparency and accountability in the corporate and local government operations. The federal oversight agencies, like the Securities and Exchange Commission (SEC), have also been quite diligent with their oversight efforts and ensuring proper adherence. Furthermore, when credit rating agencies perform their analysis to assess the ability of borrowers, either local governments or private entities, to repay their debt, they also assess the entity’s compliance with financial regulations and compliance with its financial disclosures. This rightful scrutiny of financial disclosures and transparency had recently been tested in the case of Manassas Park, VA, where S&P Global Ratings withdrew its AA- underlying rating on the city’s outstanding general obligation debt due to its non-compliance with filing comprehensive annual financial report (CAFR). In this article, we will take a closer look at the role of credit rating agencies in assessing and monitoring the financial health of U.S. local governments and things that led up to the rating suspension of Manassas Park, VA.
High levels of historic debt: The total debt service payments for FY 2019 were budgeted at around $11 million, which was more than the City spends on Public Safety or 12.3% of the City’s total revenues. A weak economic revenue base. Now, before we take a look at the S&P’s rating suspension for Manassas Park, VA, or its primary cause, let’s take a closer look at some of the important factors any rating agency carefully considers before assigning their rating. The rating agencies play a critical role in assessing the financial strength of entities, reviewing the sustainability of revenue sources and, ultimately, their ability to pay their outstanding debt obligations. Many investors may remember them on their heavy criticism after the 2008 financial crisis during which they were blamed for losses resulting from potentially inaccurate and false ratings on instruments like mortgage-backed securities. At the buyer or issuer level, the assigned ratings are primarily used to determine the risk premium that will be charged on the security. Let’s take a brief look at the basic criteria used by rating agencies for their assessment of financial strength of a local government. Credit Quality of the Securitized Assets: Under this criterion, the rating agencies are essentially looking to estimate the losses the assets would suffer under extreme stress situations, which, in turn, helps them assess the sustainability of the revenues backing up the debt issuance. For example: if we look at the assessment of credit quality and financial strength of a Community Facilities District (CFD), the underlying assets would be the homes constructed in a given district while the special assessment lien (part of the property tax bill) would be the revenue stream backing up the debt issuance. In their rating assessment, rating agencies would try to assess the risk in the event of mass foreclosures in the given district, extreme financial stress situations like 2008, and its impacts on the revenue streams. Legal and Regulatory Risk: This is an assessment of risk arising from a potential bankruptcy or insolvency situation of the issuer, which can be a local government or a special entity established by the local government to issue debt. A good example of the latter would be “Sales Tax Securitization Corp” established by Chicago to issue debt that was backed by a first lien position pledge on the City’s sales tax revenue. This entity received an AAA credit rating – irrespective of the City of Chicago’s current general fund rating. The legal and regulatory risk would assess the potential insolvency risk of the City of Chicago and how that may or may not impact the “Sales Tax Securitization Corp”. Payment Structure and Cash Flow: This goes in conjunction with understanding whether the cash flow from the securitized assets would be sufficient to make the interest and principal payments. If we take the two primary revenue sources into account for Manassas Park, VA, – property taxes and sales taxes – this analysis would be the key to understanding the cash flow mechanisms of the City along with debt repayment assessment metrics such as debt service ratios compared to its revenues. 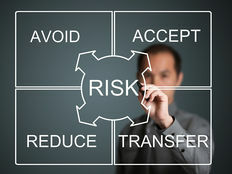 Operational and Administrative Risks: This risk takes into account the possibility of a debt transaction’s servicer or manager not being able to or unwilling to perform its duties during the life of the transaction. In the case of Manassas Park, it would be the internal debt management staff and other external associated parties and their ability to perform assigned functions that would ultimately lead to making debt service payments on time. Aside from the financial troubles highlighted in the City’s FY2019 budget book, the City failed to produce its CAFR for multiple years, which primarily led to the rating suspension by S&P. 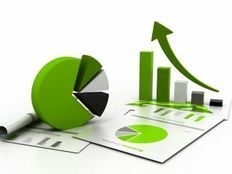 A Comprehensive Annual Financial Report (CAFR) is a set of financial statements comprised of the financial report of local governments that complies with the accounting requirements promulgated by the Governmental Accounting Standards Board (GASB). The absence of producing a timely financial report can be detrimental to the City’s ratings as seen in the case of Manassas Park. As a result, this will directly have a negative impact on investors holding any debt instruments issued by that entity. According to the rating agency, “S&P Global Ratings withdrew its ‘AA-’ underlying (SPUR) on Manassas Park, Va.’s general obligation (GO) debt outstanding on May 7, 2018. This action follows repeated attempts by S&P Global Ratings to obtain timely information of satisfactory quality to maintain the rating on the securities in accordance with its applicable criteria and policies. As the City didn’t provide adequate information, the rating was suspended. The City attributed the delay or its inability to compile its CAFR to a few of “unforeseen events” like the catastrophic failure of its AS 400 operating system, which houses the City’s Bright Accounting system for revenues and receipts. Manassas Park, VA’s rating suspension and all the events leading up to it should be taken as a wake-up call for other local governments across the United States. There are many local governments, like Manassas Park, that are in a dire need of an Enterprise Resource Planning (ERP) to potentially replace their outdated financial systems. 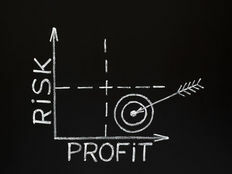 Furthermore, where it’s extremely important to garner and maintain a strong credit ratings by local governments to access the capital markets for funding needs, it’s also equally crucial to understand the need of long-range financial planning to bring sound financial preparedness for local government operations.